The ECOSYS M6630cidn brings power and mobility to your document imaging. 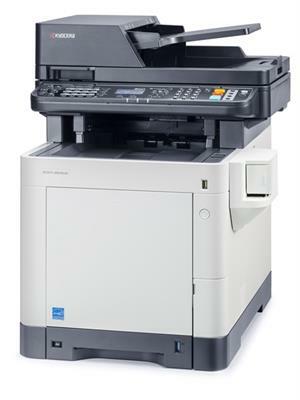 Combining first-class color print, copy, scan and black & white fax capabilities with fast 32 ppm output in black or color, it is a smart choice for small businesses and workgroups who need flexible functionality in a desktop device. Optional wireless and standard mobile printing and scanning capabilities enable access wherever your business takes you. ECOSYS trusted reliability and long life consumables ensure maximum performance in a cost-effective document imaging solution.